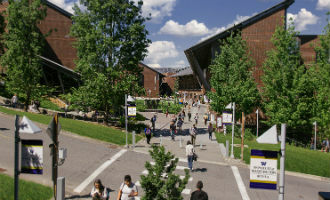 With nearly 6,000 students and 55 undergraduate and graduate degree programs, the University of Washington Bothell has a reputation for access to excellence and a leading-edge educational experience. Our graduates are ready to change Washington and the World. 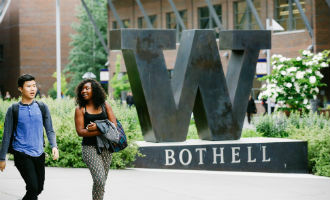 For more than 25 years, UW Bothell has fulfilled its mandate to provide access and opportunity to students from North King and Snohomish counties and across the state of Washington. UW Bothell retention and graduation rates are in the top 15 percent of similar public four-year universities in the nation. We are committed to service: UW Bothell students provided working solutions to 375 external organizations in the last year, including Fortune 100 companies, not-for-profit organizations and government agencies in our state. Many of our campus events are open to the public. Check out the events on our campus calendar. Two options for Campus student housing. There are 55 undergraduate and graduate-level programs available, offering day and evening classes. Innovative teaching methods and interdisciplinary approaches; hands-on preparation for real life and career. Outstanding student support services; award-winning on-campus library with access to full UW library system; career center; writing center; personal counseling; computer support; mentoring available for first-generation students and English language learners (ELL). UW Bothell is known for its diversity. This year, 50 percent of incoming first-year students and 39 percent of incoming transfers are the first in their families to earn a four-year degree. Read our 2018-19 Fast Facts.